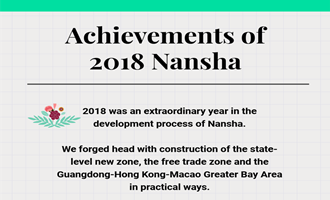 Nansha district was set up on April 28, 2005, and was duly approved by the State Council as a national new zone and free trade zone in 2012 and 2014. Located in the southern part of Guangzhou right at the geometric center of the Greater Pearl River Delta Economic Region and situated at the supporting position of the "A" shape formed by Guangzhou, Hong Kong and Macao, Nansha is the hub connecting the city groups on the banks of the Pearl River Estuary. Nansha district is the principal water thoroughfare of the Pearl River Estuary and the only passage from Guangzhou to the ocean. It has the advantages needed for the building of an international deepwater port and development of port-related industries, and as such is the perfect region for Guangzhou and Guangdong province to adjust and upgrade their industrial structures. 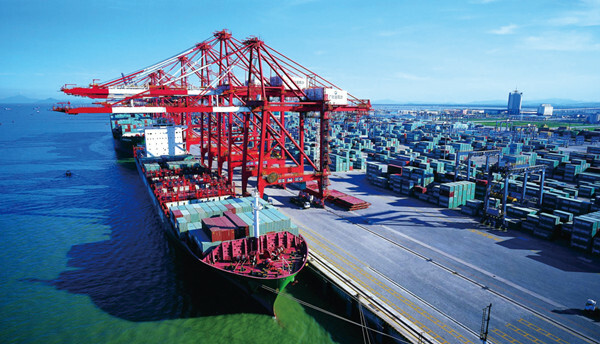 The district has the world's top 12 ports and shipping hubs and top three shipbuilding bases, as well as China's leading automobile and parts manufacturing and export bases and advanced equipment industry clusters. It also has a number of national-level scientific research innovation institutes and incubators such as the Chinese Academy of Sciences and Hong Kong University of Science and Technology (HKUST). The Nansha deepwater port's cargo routes cover the world's major trade areas, such as Europe, the Americas, South East Asia, the Middle East, and Australia. With the completion of the second and third phases of the Nansha Port project, it has formed a new pattern for modernized international ports coupled with related industrial zones. The Nansha government plans to take advantage of the international port to develop an ancillary industrial zone which will include fundamental industries such as ship building, iron and steel processing, and petrol-chemicals, promoting the concerted development of Guangzhou's traditional industries, the high-tech industries located nearby and service industries. Nansha New Area is the China (Guangdong) Pilot Free Trade Zone Nansha Area of Guangzhou. It is the country's sixth state-level zone, and boasts excellent geographical advantages and an abundance of natural resources. Its seven functional areas are committed to promoting the economic and technological development of the Nansha district and Guangzhou and to building a world-class integrated service hub based on all-round Guangdong-Hong Kong cooperation via focusing on the development of shipping logistics, international finance, international trade, science and technology innovation, marine economy and high-end manufacturing industries. 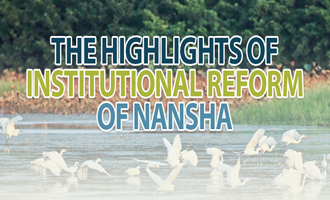 Nansha enjoys unique natural conditions with densely covered water networks and various lakes and ponds which are part of its beautiful natural environment and rich land resources. Most of the land in the north is farms and fields, while in the south the majority of the land has been reclaimed to its original natural ecology. The properties of the estuary sedimentary plain have created large wetlands in Nansha New Area. Nansha built the first wetland forest park in China which is now called "the kidney of Guangzhou"; it consists of over 3,000 mu (200 hectares) of wetlands and 400 mu of mangrove forest, and is home to more than 20,000 migratory birds in both autumn and winter. In 2017, the average temperature in Nansha was 23.6 C, 1.0 C higher than the annual average. The annual precipitation was 1611.2 mm, and the number of haze days was 59 days. By the end of 2017, there were 725,000 permanent residents and 415,400 residents with household registration. In 2017, the district registered a household birth population of 11,809, a birth rate of 15.8 per thousand; the number of deaths reached 2,544, a death rate of 3.4 per thousand; and a natural increase of population reached 9,265, a natural growth rate of 12.4 per thousand. Famous scenic spots in Nansha district include Nansha Puzhou Park, Nansha Tianhou Palace, Suzhou Watery Region Street, the Nansha Golf Course, Sunflower Garden, Sheraton Hotel and other tourism resorts and facilities. Nansha is also a port district with the largest number of cruise lines to Southeast Asia in China. 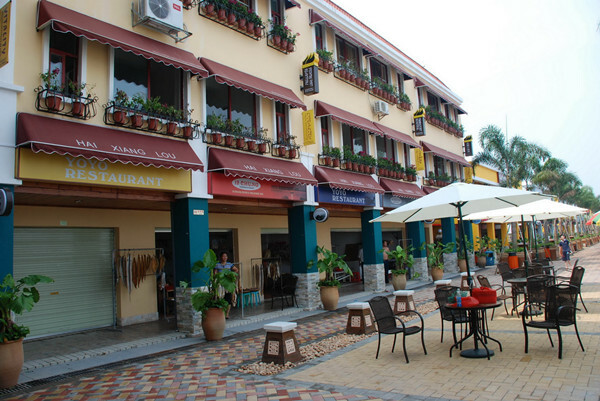 It has become a leisure resort to attract tourists from both home and abroad. In accordance with its physical layout, Nansha district will be built into a modern industrial base integrating the logistics industry, port-related industries, high-tech industries, and a new modernized ecological urban area with reasonable industrial distribution, strong economic radiation capacity, and complete supporting infrastructure – all set in a beautiful natural environment.